Ever wanted your own sports card? 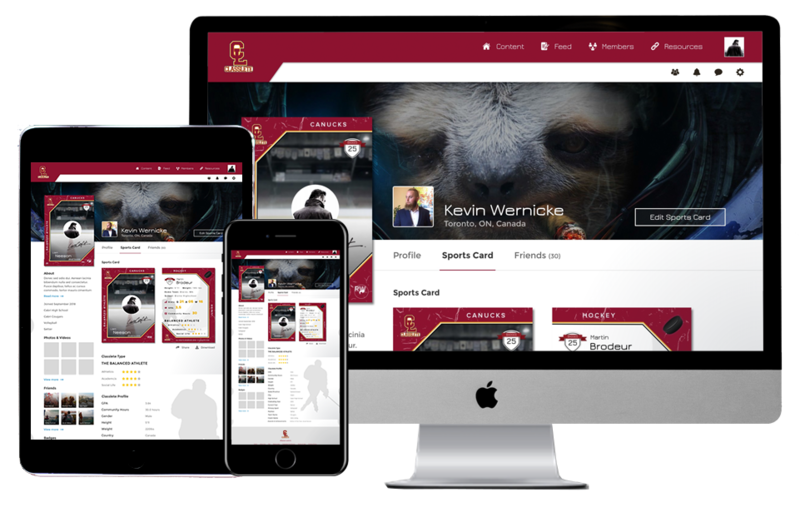 When you join, complete your user profile along with our short questionnaire and we will create your personalized Classlete Sports Card that highlights your athletic, academic and community service accomplishments. You can then post and share it on social media with your friends. 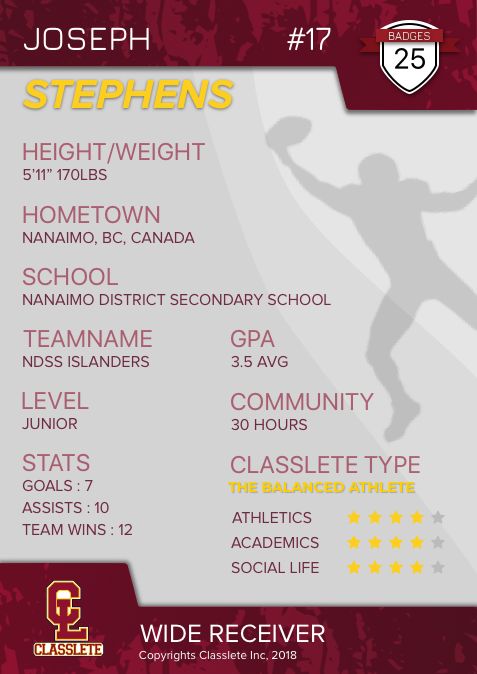 Customize your user profile with your picture, video and stats, while highlighting your athletic, academic and community service accomplishments. Track your athletic accomplishments by recording your stats and sharing them with the Classlete community. Access to our Classlete Podcast, latest video interviews along with our blogs for advice on recruitment, academic help, nutrition, training, fashion, video games and more. Connect with or follow your friends and teammates while keeping an eye on your high school rival. Be rewarded with points and badges for completing key tasks on Classlete.com with a chance to later win prizes and other membership perks. Join our beta launch email newsletter list and Receive a FREE download to our best 4-week sport specific workouts created with Grunt Performance and DOMINATE. Life as a high school student athlete can be complicated. 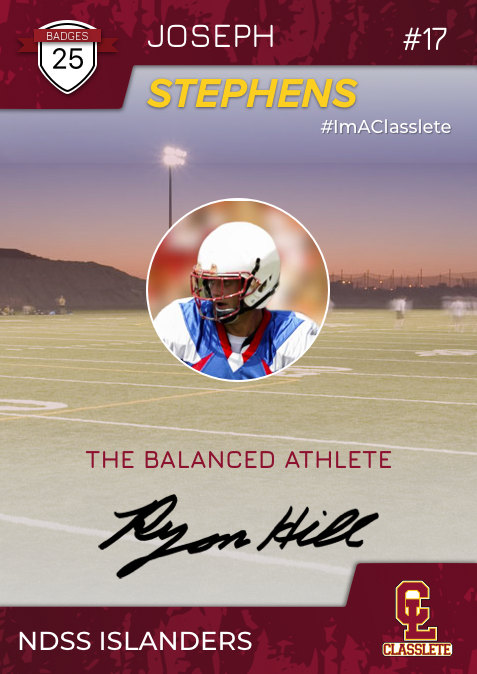 So join the Classlete.com community now, create your own digital Classlete Sports Card to share with your friends on Instagram, Twitter and Facebook while tracking your athletic, academic and community service accomplishments. our best 4-week sport specific workouts created with Grunt Performance and DOMINATE!